Today I am using one of my favourite stamp sets from Clearly Besotted to created a card for my niece's first birthday. I love springtime, although we have not really seen it yet here in the UK and this little cutie reminds me of that time of year. 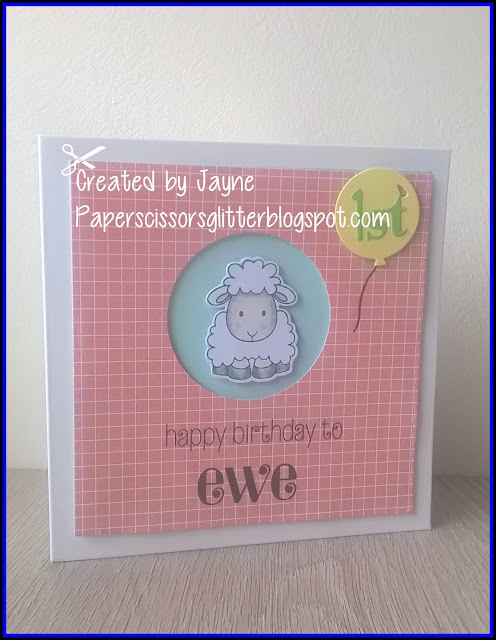 Passion for Promarkers ~ #435 ~ "Spring"
Cute Card Thursday ~ #521 ~ "Celebrate"
Love your cute card, CB are brilliant for their cute stamps aren't they :) Love the papers you have used and the little balloon is fab !